It is part of a broader series of posts on evolutionary debunking arguments (EDAs). These arguments claim that if a belief-forming faculty is the product of a process that does not track the truth with respect to the relevant class of propositions, then any beliefs produced by that faculty are unjustified. Thurow’s article focuses on evolutionary accounts of religious belief and the implications of such accounts for the rationality of religious beliefs. 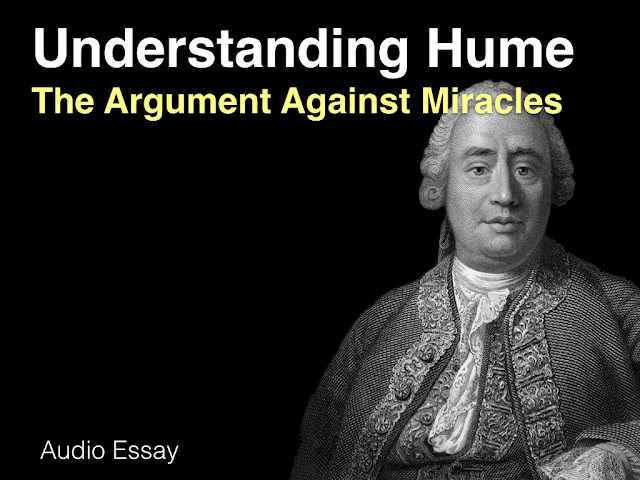 We finished the last part by outlining Thurow’s second (and more robust) version of the religious belief debunking argument. He calls it the CSR Process Defeater Argument. Although this argument has successfully weathered some criticism, Thurow thinks it is susceptible to another line of criticism. Let’s see what this is. (You might like to keep part two, with the process defeater argument, open in another tab or window for reference purposes). The process defeater argument, in the form we have been considering, has a relatively simple structure. It begins by specifying that people believe in God in a non-inferential or basic manner due to the presence in them of a cognitive faculty (the HADD) that generates such beliefs. It then points out that the cognitive faculty in question is not a reliable producer of such beliefs because it would produce such beliefs even if they were not true. It concludes that religious belief is unjustified. It might be tempting to object to the argument on the grounds that it commits a kind of genetic fallacy: It impugns people’s beliefs on the grounds that they originate in the HADD, but fails to address the possibility that they might have other (justified) grounds for holding those beliefs. Tempting as it seems, this response is mistaken. To see why, it is useful to distinguish between propositional and doxastic justification. Your belief is propositionally justified when you have good reasons for believing as you do. Your belief is doxastically justified when the reasons you actually use to justify your belief are good reasons. The distinction is subtle, but crucial, because a belief might be propositionally justified even when it fails to be doxastically justified. How does the distinction apply to the argument at hand? Well, the idea is that while people may have good reasons at their disposal for justifying their religious beliefs, they do not actually rely on those reasons. The actual grounding for their beliefs (the one they rely on) is non-evidential and is attributable to the HADD (or similar faculty) and that grounding, as we have seen, is unjustified. Obviously, this claim could not cover all religious believers, but maybe it covers a good proportion of them? Not so fast, says Thurow. He doesn’t think the argument works even when targeting doxastic justification. The reason is that the cognitive scientists claims about the origins of religious belief are unrealistically general. Take, for example, defenders of the HADD-theory. According to them, certain strange events tend to be attributed to supernatural or divine agents due to the presence of a HADD. As such, their claims only cover a general kind of religious belief, not a theologically and culturally specific kind such as Christianity. The general belief uses abstract, minimally counter-intuitive concepts that are filled in by a whole host of contextual and cultural factors. When justifying their specific beliefs, religious believers will appeal to a wide diversity of reasons including, but not limited to: they think they have witnessed miracles; they believe the Bible is reliable; they think certain of their prayers get answered; the world seems to have been designed for certain theologically significant purposes; and so on. Such reasons are necessary to move from the general to the specific. This is a problem for the process defeater argument. To show that a believer’s specific religious beliefs are doxastically unjustified, an opponent would have to engage with all those reasons on their own merits, i.e. by engaging with the arguments and principles used to defend those beliefs. Some of those reasons might be bad, but learning this would be no different from the usual philosophical game. And it would imply that the cognitive science theories by themselves cannot change the contours of the philosophical debate over the rationality religious beliefs. For those of you referring back to the argument itself, Thurow’s objection seems to attack premise (7). Still, he goes on to claim that it does not directly threaten basic belief religious epistemologies. I’m not really sure what his argument for this is since this part of the article is brief and simply describes a number of basic belief positions. My guess is that Thurow is pointing out that basic belief style epistemologies (particularly of the Plantingan-variety) appeal to epistemically possible models of warrant and that these models can only be challenged using concepts not advanced by the CSR process defeater argument. According to such models, it is possible, for all we know, that God created us with cognitive faculties that allow us to have direct experiences of his existence. And since many believe they have had such experiences, they are warranted (absent defeaters) in believing in his existence. Such a model can be challenged on the grounds that we have no good reason for thinking God would create us with such a faculty, but this is very different from saying that our religious belief-forming cognitive faculties were by-products of evolution. Even if all this is successful, one might still object to religious beliefs on the grounds that our argument-evaluating faculties are also unreliable. For example, one might argue that we are biased or predisposed towards finding arguments in favour of a belief in God and so we shouldn’t even trust the way in which we evaluate arguments for religious beliefs. This is certainly not implausible. Hugo Mercier and Dan Sperber have recently put forward the hypothesis that our reasoning faculties have evolved not to pursue the truth but to persuade others of conclusions we already accept. Thurow responds to this line of argument in a couple of ways. First, even if we favourably evaluate arguments for the existence of gods in general, a specific argument for the existence of a specific god might easily be undermined. Indeed, this seems to true HADD across the entire range of agents (both natural and supernatural). And second, confirmation biases presumably work across a diverse array of propositions. Some of these biases might work against religious beliefs and thus make them more difficult to sustain. To sum up, debunking arguments maintain that certain beliefs are unjustified because they are produced by unreliable belief-forming processes. The CSR process defeater argument is an example of such an argument. It specifically targets the rationality of religious beliefs. Although the argument is a strong one, and survives several lines of attack, it is not completely persuasive. This is because modern scientific theories of religious belief formation describe such belief formation in an unacceptably general manner: they fail to engage with the real reasons that people offer for specific religious beliefs. The only way to engage with those reasons it to perform the usual philosophical analysis of the strengths and weaknesses of these reasons. In doing that, one must abandon the debunking argument. Do you we really need to abandon the argument completely? It seems like if our HADD really does produce unreliable beliefs about Gods in general then we have some reason to be suspicious of religious truth claims. It doesn't mean we get to avoid engaging with their arguments but I don't think it's right to say this argument has no weight at all. The conclusion is my summary of Thurow. I agree that the argument has some weight, and may even prove quite persuasive against some people. Actually, I think Thurow would agree with that too. He does say in the article that anyone who is made aware of the HADD would need to have some independent line of support for their beliefs (either evidentialist or Plantingan in nature). He would probably just add that the effectiveness of the argument is much reduced from what might have originally been expected: one can't avoid engaging with other more standard religious arguments. Is there a historical form of the debunking argument? Maybe something that addresses specific doctrinal beliefs, and argues that the historical process by which these beliefs originated and spread is not one that is likely to track truth? It was interesting, but not precisely what I was thinking about. We know the actual history of many major world religions. There's no need to be all philosophical and argue from only a posited diversity and cultural distribution of religion. Even in the past 200 years, religious belief and practice has changed enormously. To give just two examples, the Christian take on what behavior is appropriate on Sunday has shifted enormously as economic needs changed, and the Christian take on human nature has changed dramatically to the point where what was humanism has gone from heresy to near universal acceptance. That was more what I was thinking about. But thanks for the link. I did read it and enjoy it. Well, sure something like Rodney Stark's economic explanation for the growth in certain kinds of religious beliefs, could be used as the basis for a debunking argument. Evolutionary debunking arguments are just a subclass of causal debunking arguments. Certain causal pathways towards beliefs might not be truth-tracking, and that can always be pointed out. However, you would still probably run into the kind of objection Thurow makes: you're not engaging with the actual reasons people offer for holding the beliefs that they do. For example, I doubt that many believers think they hold strong evangelical beliefs because that kind of belief satisfies their economic needs. They'll probably appeal to other grounds. Hey John, I'm enjoying this series. Have you ever done an analysis of Plantinga's EAAN? I have to say I find it very persuasive, but one qualm I would have is that it seems to me to undermine the reliability of our intuitions rather than our cognitive faculties as a whole. In particular, the use of science would seem to me to be a good way of sifting out the kinds of beliefs that may arise out of survival-prioritising belief systems. What do you think? Seriously now, you really should start a series on EAAN. It's an intriguing argument. Can't we just dismiss the entire EAAN because Plantinga did Bayes on the proposition that a randomly generated belief and a randomly generated desire would be selectively advantageous, but his theory is actually about the likelihood of evolutionary processes creating cognitive and perceptive faculties capable of mapping with moderate accuracy onto reality? He should have done Bayes on the latter, but he didn't, so nothing to see here, lets all move on? I'm not sure that the Principle of Charity requires rewriting 20 years of some guy's professional career. I haven't discussed the EAAN here. It did feature in one of my posts on skeptical theism, but only as a springboard toward a different argument. Also, parts of the discussion of Griffiths and Wilkins on debunking arguments touch upon related issues, including those you mention. I personally find it hard to believe that evolutionary processes would not track truth in certain cognitive domains, e.g. motion detection and shape recognition. I also agree with Griffiths and Wilkins that you can build a bridge from these basic cognitive domains to scientific truths (and use these to debug other intuitive belief-forming faculties). What Cadfan says about the EAAN sounds plausible to me as well, given what little I have read about it. If people in general have an interest in me doing something on the EAAN, I'd be willing to do it.